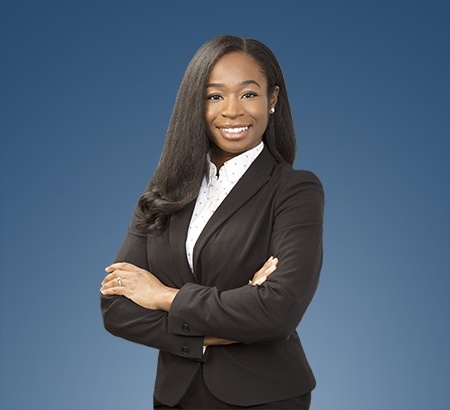 Awele Nwajei is an associate in Eastman & Smith’s Business Litigation and Labor & Employment Practice Groups. Ms. Nwajei joined the Firm after completing Eastman and Smith’s summer associate program in 2017. Prior to attending law school Ms. Nwajei attended Ohio University in Athens, Ohio where she earned a B.A. in Sociology and Economics and an M.A. in Sociology. During her time at Ohio University Ms. Nwajei served as a student board member of the University’s Office of Community Standards. Her role included examining students accused of improper acts and creating appropriate sanctions when necessary. Through this experience she understands the issues employers may face when addressing problems in the workplace. Ms. Nwajei’s work on the board was incorporated into her master’s thesis, “Transforming a Culture of Delinquency into a Community of Responsibility; the Incorporation of Restorative Justice Practices at Ohio University.” After completing her graduate degree, Ms. Nwajei worked as a legal assistant for a Solon, Ohio based software company, where she assisted in the drafting, amending and execution of contracts. While a student at The Ohio State Moritz College of Law, Ms. Nwajei served as an executive board member of the Black Law Students Association and a student fellow on the Better Business Bureau Board. Ms. Nwajei also served as a staff editor on the Ohio State Business Law Journal for two years during which time her note, “Combating Counterfeit Couture: An Argument for the Application of Third Party Liability to E-Commerce Websites in the Fight Against Counterfeit Luxury Goods” was selected for publication.